Thank you. I’m an aeronautical engineering student and that concept had me stumped. awesome explanation in a very simple language and with good diagrammatic representation. Excellent! 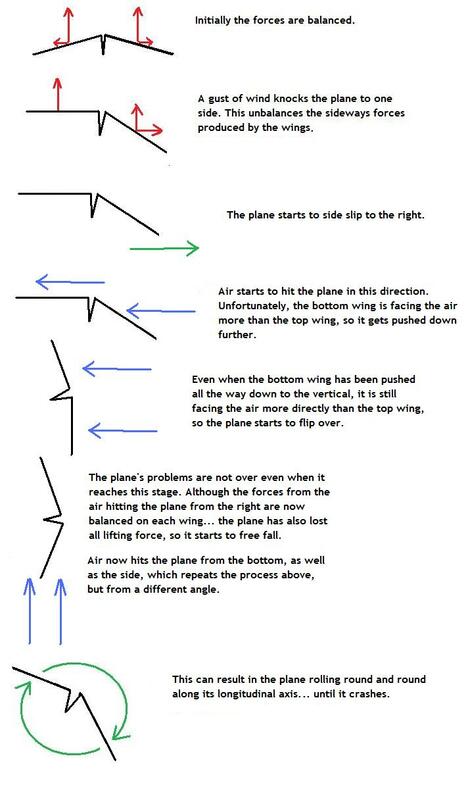 I am starting to learn about aviation theory and your Wonderful explaination with the diagrams is really really helpful. Thanks a lot!! Regarding the lateral stability bit. You said it was “the ability of the aircraft to fly the right way up and not roll as it travels through the air”. 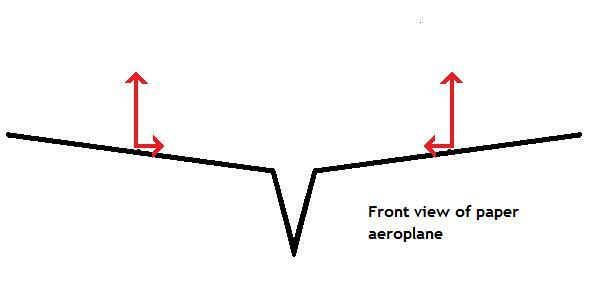 The lateral axis determines the pitch of the aircraft rather than the roll. The roll movement would be along the longitudinal axis. Love the site i hope you put some new designs up soon. 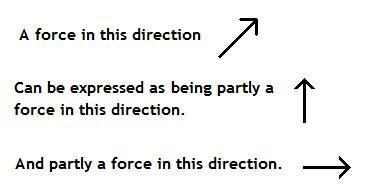 There’s a difference between the “lateral axis” and “lateral stability”. 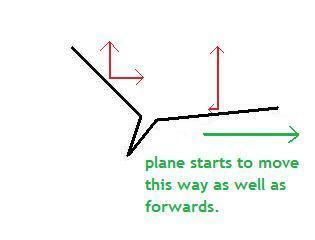 When people refer to the “lateral axis” they mean drawing a line through the aircraft from wingtip to wingtip. Rotation about this axis is called pitch. 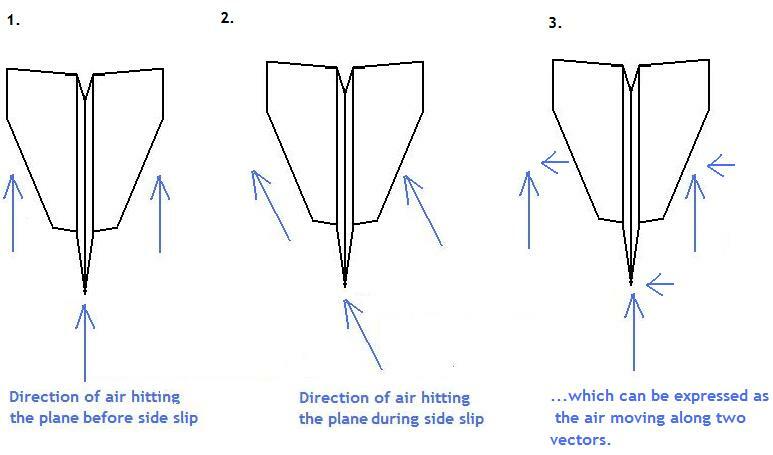 However plane that maintains a steady pitch is not referred to as having lateral stability, it is referred to as having longitudinal stability. However, “lateral stability” refers to the stability of aircraft’s longitudinal axis – an axis which extends form nose to tail. 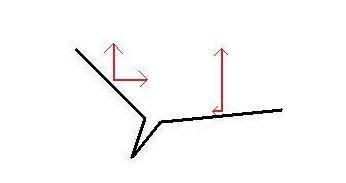 If an aircraft lacks lateral stability it has a tendency to roll along the longitudinal axis. Same here I would really love some more desings as all of the old ones were splendid though the monkey didn’t turn out quite as I expected!!! Required a definition for a talk I am giving and the information you give about dihedral and it’s presentation is the best I have seen. I hope that you cover other topics as you have a gift. 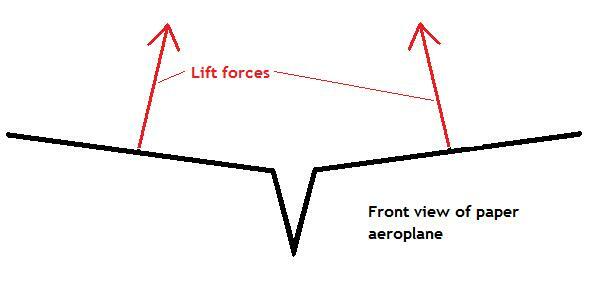 If the extra upward force on the right wing does not cause the plane to roll back, then what exactly is its effect on flight? Ur explanations r actually more comprehensible than that in FAA pilot handbook. 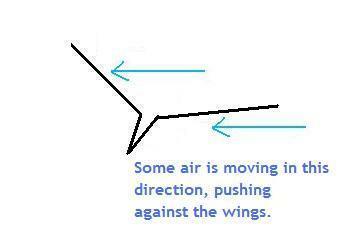 I as well got the answer for why sweep wings contribute to lateral stability.